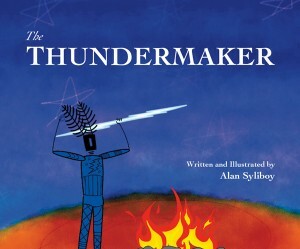 The Thundermaker – Book Release – October 2015! “If you’re looking for a beautiful book to share with a child you love, I recommend this. I would’ve given it to my daugher at 2 for a book to be read cuddled together, and I suspect she’d have enjoyed having it read to her as long as we read aloud together. 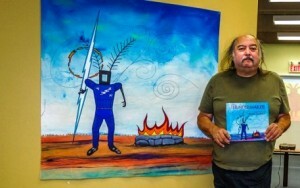 The story comes from Mi’kmaw legend and is wonderfully retold by Mi’kmaw artist Alan Syliboy, whose terrific illustrations are on every page. It’s a great story for children, because they learn that they can be powerful – and that with power comes responsibility.